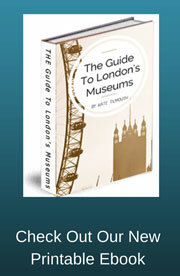 The Advertising museum in London is perhaps one of the lesser known about and smaller of the London Museums. It is however a place to spend the day and will not only bring back memories but or your own childhood it will also give you a great insight into social history of the past. The museum holds various new exhibitions throughout the year and these will be listed here. Remember to sign up to our RSS feed or Ezine to be kept up to date. An exhibition which shows the excitement of the Queen's Coronation in 1953. Items such as flags and souvenirs such as teapots, thermos flasks and tin sweets. To name a few are on display. 2012 is of course the Queen of England's diamond Jubilee year and so we couldn't let it go buy without a special exhibition to mark it. 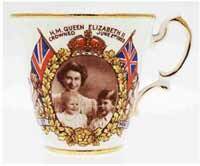 There will also be a display of this year's Silver Jubilee souvenirs which have only recently gone on sale. 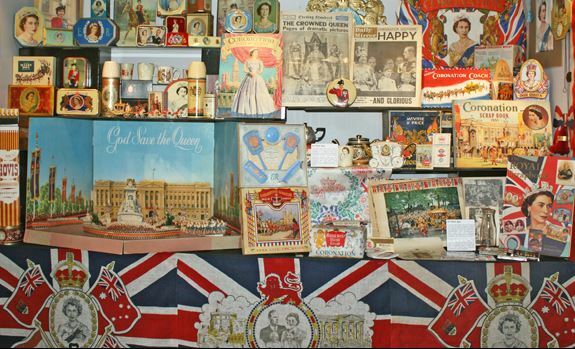 Every Royal wedding from the past has brought with it a mountain of commemorative souvenirs to mark the celebrations. Special edition packs of tea. There are hundreds of royal mementoes on display in the Advertising museum. Packaging, packaging everywhere. We seem to be drowning in packaging these days and it has become a hot topic of conversation over recent years. One of the challenges for the brands is to keep their packaging relevant and innovative to persuade people that it is a very necessary item. This exhibition explains the importance of packaging and how companies are trying to make it more environmentally conscious. This exhibition looks at how during the second world war rationally and the make do and mend culture was important to the war effort when raw materials were in short supply. The exhibition is also designed to inform the present and future generations about how important it is today to repeat the recycling habits of the past to ensure our planets future. Details of the events at the museum of brands were correct at the time of publishing.